So, here we are at St. Kenelm’s Church on a cold, wet, foggy December day when our surroundings look for all the world like a Hammer Studios horror movie set. On the day we visited, the air was crisp and cold and the place was as deserted as it looks in the photos below. There was nary a footprint to be seen in the graveyard and it was so quiet that you could hear the snow crunch beneath your boots with each step. . . no one spoke . . . . . no one dared to break the eerie silence as we made our way through the ancient tombstones . . . . . don’t be afraid – I’m sure the legends of the Minster Lovell Hall ghost are just rumour . . . . . . . .
St Kenelm’s church in Minster Lovell (above) is mainly 15th century, built on the foundations of an earlier priory minster. This explains the unusual cruciform shape with a central tower. The whole church is “almost entirely unaltered and has handsome details” (Pevsner). It is situated next to the ruins of Minster Lovell Hall, pictured below. From Kelly’s Directory 1891 – To the south-east of the church, near the river Windrush, are the ruins of an ancient mansion, formerly the residence of the Lovell family: the buildings, when perfect, formed a square, the south side being parallel to the river and within a few feet of its bank; the whole of the south and east sides are now destroyed and the only portions standing are the north side, part of a tower at the south end of the western side and a low wall attached to it, with several fine but now roofless and dismantled apartments; in 1708, during the rebuilding of a chimney here, a large vault was discovered in which was found the entire skeleton of a man sitting at a table on which were writing materials and a book and it has been assumed that Lord Lovell, who disappeared after the battle of Stoke, made his way to his house here, and concealing himself in this vault, was eventually starved to death; on his death, his titles, including the baronies of Lovell and Holland, Dean Court and Grey of Rotherfield, became extinct, and that of Beaumont fell into abeyance between his sisters, but was called out 16 Oct. 1840, in favour of Miles Thomas Stapleton esq. of Carlton, Yorks, one of the co-heirs thereto. The estates of the Lovells, confiscated by Henry VII, were subsequently granted to the Comptons, Cecils and other powerful families. 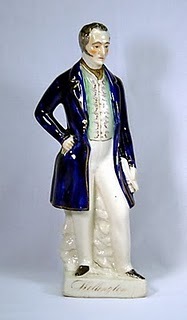 ** An alternate version of the story of Lord Lovell is that he returned with his faithful dog to the Hall and was locked into the secret chamber by his faithful valet, who breathed not a word of Lord Lovell’s whereabouts to a single soul and who came twice a day to feed his master and his master’s dog. The valet, unfortunately, died before he could share his secret with anyone and so Lord Lovell and the faithful dog perished together, starving to death in their self imposed hiding place. *** Yes, the place is rumoured to be haunted. By both man and dog. And what a perfect location for a ghost, visually. You couldn’t get much more Byron-esque if you tried. I’ll leave you with images that are sure to conjure up visions of Christopher Lee . 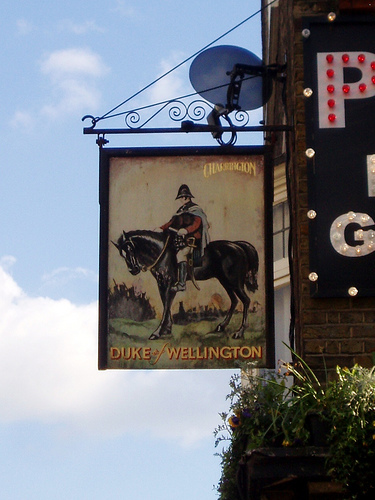 . . . .
Today we’re taking a look at some of the many, many, many pubs named after the Hero of Waterloo. 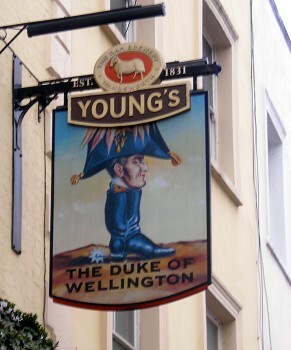 As far as I can make out, the Duke of Wellington was not widely known as a drinking man, so the large number of pubs named in his honour is amazing – almost as many as those named for the Duke of York who, I believe, was a drinking man. And the Marquess of Angelsey, who may not have been a lush, but was certainly a wife stealer – but that’s another story. When in London, I heard tell of a man who has taken up the mission of visiting as many of the Duke of Wellington pubs across England as he can. He’s going to be very old, and very drunk, by the time he’s done. One of the prettiest Duke of Wellingtons I’ve seen is this one, though I’ve not personally visited it. Yet. They’re in Surrey – check out the website here. 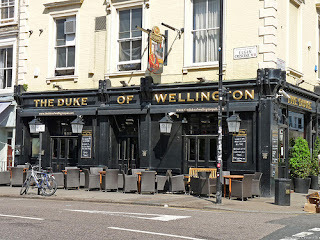 Here are my personal photos of the pub, which don’t measure up to those above, but you’ll excuse me under the circumstances. 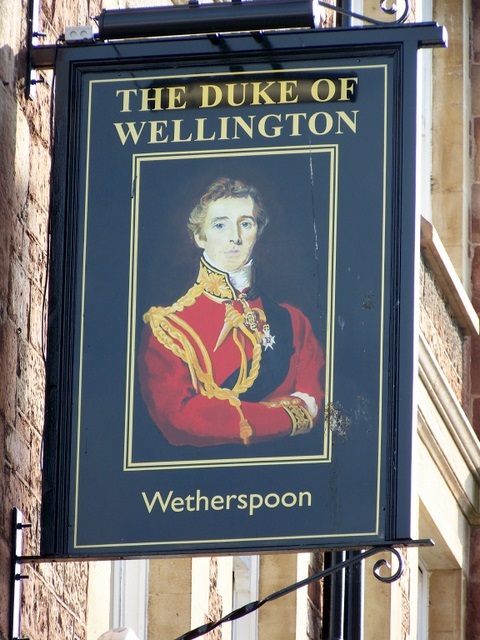 That’s the logo for The Lion King just behind the Duke – the pub is next to the theatre where it’s playing. 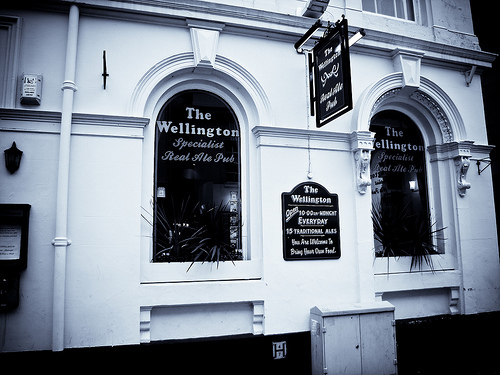 You can read a review of the pub here. To prove the point that one can, and often does, literally fall upon pubs named for the Duke of Wellington, I tripped over yet another whilst Greg and I were on a Rock and Roll walking tour. As we had to keep up with the tour guide, I didn’t have the opportunity to peek inside. 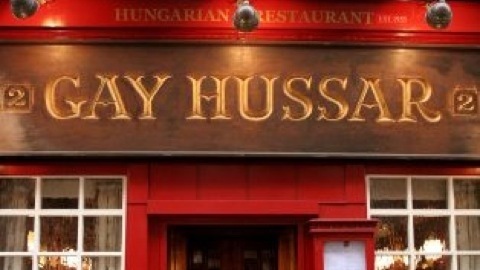 Which may be just as well, as I’ve come to learn that it’s known for being a gay bar. The Duke of Wellington . . . . . I ask you . . . . couldn’t they have changed the name to something a bit more appropriate? 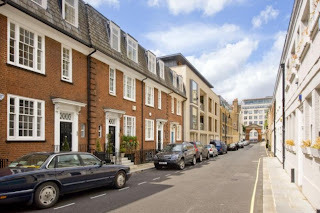 Located just off Belgrave Square, I came across Headfort Place when walking back to the Rubens Hotel from Apsley House. The title of the Marquis of Headfort was an Irish peerage conferred in 1800, which explains why I was able to find information on their Irish property – Headfort Hall estate in County Meath, now a school – but little on Headfort Place, London. One of the freehold houses in Headfort Place is currently on the market for four million pounds. The Railway Industry Association and Unisea Maritime have offices here. 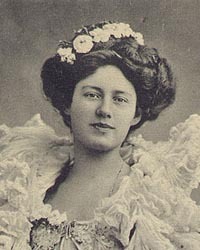 In 1901, the fourth Marquis caused quite a stir when he married Miss Rosa (Rosie) Boote, above, a Florodora dancer at the Gaiety Theatre. 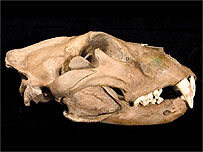 To read an in-depth article artice on Rosie, and for more fabulous photos, click here. For a more in depth look at the wild lives of some of the latest title holders, click here. 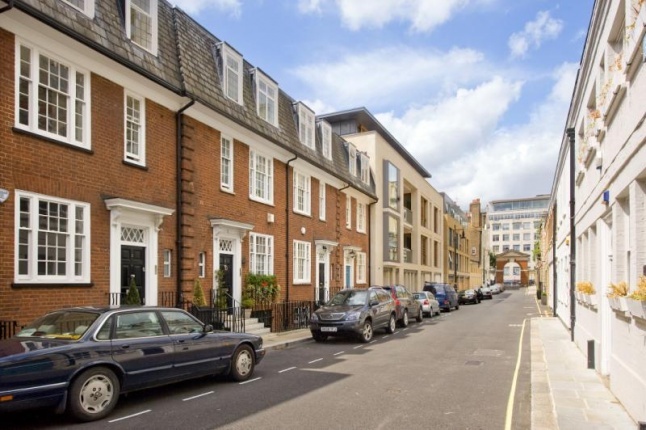 You can see a property for sale by Harrod’s Estates in Headfort Place here. Can anyone provide further details regarding Headfort Place? It was a cold, wet, foggy day when we visited the Tower of London – a day chock full of atmosphere and history. The Waterloo Barracks at the Tower were built while Wellington was Constable and named after his famous victory over Napoleon. 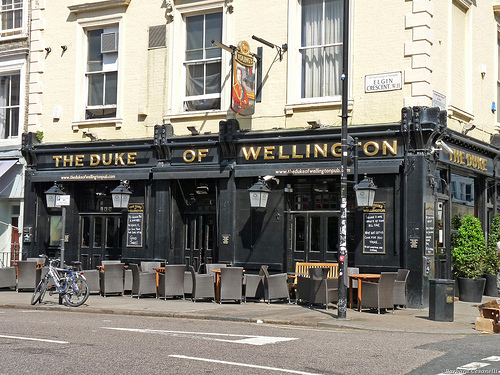 The building replaced the Grand Storehouse which was destroyed by fire in 1841 and the foundation stone, laid by the Duke of Wellington in 1845, can be seen at the north-east end of the building. The fire, which had taken place on October 30, 1841, at 10:30 p.m. was caused by an overheated flue in the Bowyer Tower. Thirty minutes later, the Bowyer Tower was almost completely destroyed, and the fire had spread to the armories and storehouse to the east of the Chapel of St. Peter ad Vincula. By midnight the armories were burning so furiously that the heat caused the lead pipes to melt on the walls of the Great Tower. The Brick Tower then caught fire, and flames threaten to burn Martin Tower where the Crown Jewels of England were kept. The Keeper of the Jewel House only had the key to the outer room (the Lord Chamberlain had the other keys). Water was sprayed on the walls of Martin Tower as firemen tried to keep the walls cooled down until the Crown Jewels could be removed. One firemen was killed when he was hit by a piece of falling stone. Using crowbars, policemen bent back the bars from in front of the Crown Jewels. A brave policeman handed out the Crown Jewels piece by piece. He did not leave, even though his uniform was charred from the heat, until everything, except a silver font which would not fit through the bars, had been saved. The fire was finally under control at 3:15 a.m., but the two armories, storehouse, Bowyer Tower, and the Brick Tower were destroyed, and both the Chapel of St. Peter ad Vincula and the Great Tower (White Tower) were badly damaged. 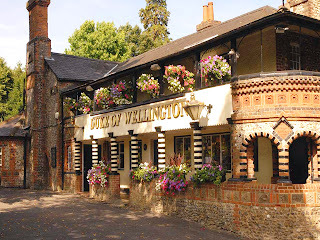 The Duke of Wellington was Tower Constable at the time of the fire (he was appointed in 1826), and with the help of Prince Albert, Wellington spearheaded a campaign to get government funds to restore and rebuild the Tower of London. This massive project lasted throughout the rest of the 19th century. At the time Wellington became Constable in 1826, the post of Yeoman Warder could be bought for 250 guineas, or even inherited within families. The Duke brought these practices to an end, making appointments based on distinguished military service. He also made improvements to the Tower itself. By 1841, in the words of the Surgeon-Major, the moat was ‘impregnated with putrid animal and excrementitious matter…and emitting a most obnoxious smell.’ Several men from the garrison died and 80 were in hospital due to the poor water supply. Local cholera outbreaks were blamed on the moat. The duke drained it and created the dry ditch, or fosse, that visitors see today. ﻿ The menagerie at the Tower was once filled with exotic animals and was a popular tourist attraction. 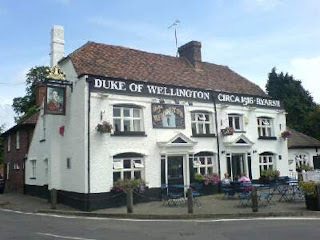 It was established by King John, who reigned in England from 1199-1216, and is known to have held lions, elephants, leopards, camels, ostrich and bears. The menagerie was finally closed in 1835, on the orders of the Duke of Wellington, and the remaining animals were moved to the Zoological Society’s Gardens in Regent’s Park, now known as London Zoo. 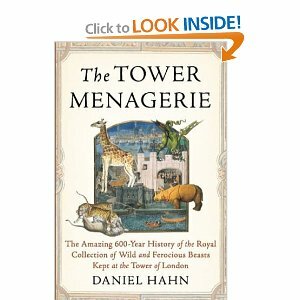 To learn more about the history of the Tower menagerie, click on the book cover. 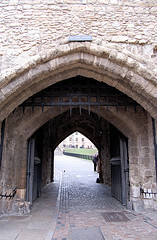 Finally, the Duke made some improvements to the portcullis at the Bloody Tower, above. Look closely and you’ll see spiked, black iron bars on either side of the doorway at about knee height. 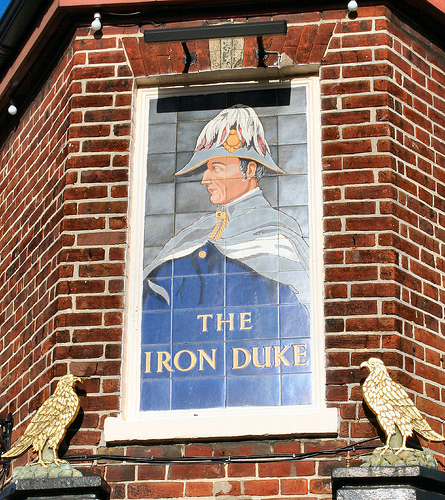 The Duke ordered these to be installed so that the guards would no longer be able to lounge against the wall and smoke whilst on duty – ha! When in London recently, I once again visited Mark Sullivan Antiques in Cecil Court. 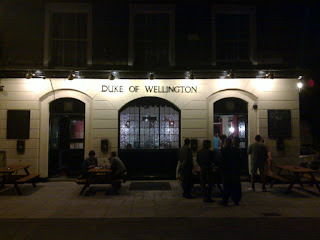 And once again, Mark told me that I’d just missed seeing the current Duke of Wellington by a few days. Sigh. Mark and I chatted for a bit about Florida and we finally got down to the business of Artie-Facts, also known as Wellington commemoratives or memorabilia. There was nothing on hand that was as earth shattering as the Staffordshire figurine I’d purchased from Mark in June (above), so I was just about to reluctantly pass on buying anything when Mark told me that he had a few pieces in the basement that he’d been saving for a dealer, but seeing as how I was regular customer and the dealer was not, he’d bring them up for me. The first item was the tankard below, made by Lambeth Potteries. Reader, I purchased both. And, inspired by the display of commemoratives on show in the basement of Apsley House, I’ve grouped them all together with those pieces I already own in a lighted cabinet in the living room. You can read about my Wellington collection in a prior post here.